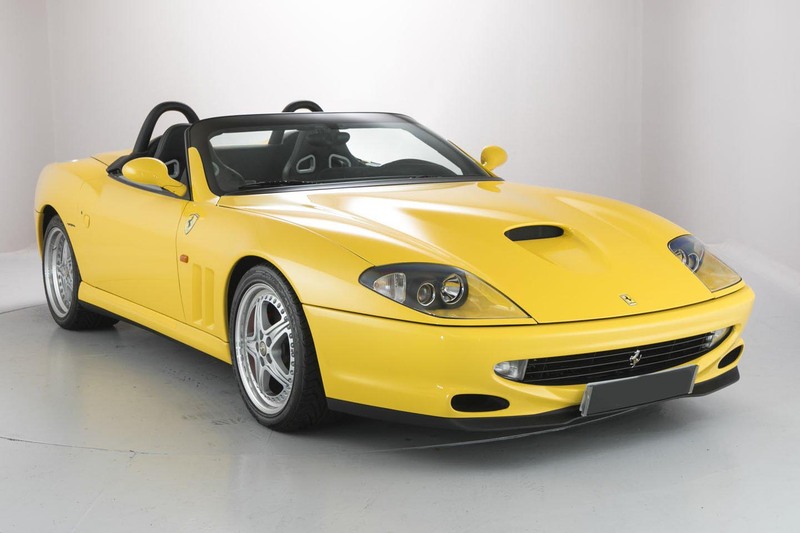 In 2000 Ferrari introduced the 550 Barchetta Pininfarina, a limited production Barchetta version of the 550, and just 448 examples were built. The Ferrari 550 Maranello (Type F133) was a front-engined V12 2-seat Grand Tourer built by Ferrari from 1996 to 2002. 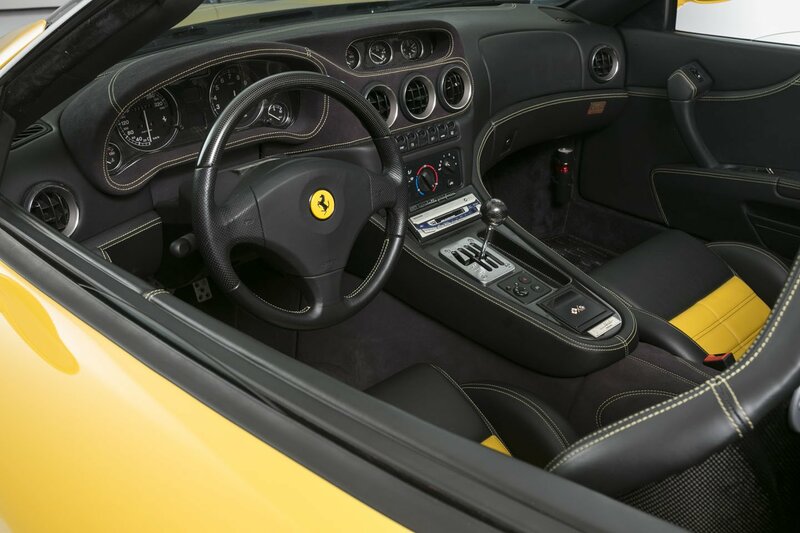 The 550 Maranello marked Ferrari’s return to a front-engine, rear-wheel drive layout for its 2-seater 12-cylinder model – 23 years after the 365 GTB/4 Daytona had been replaced with the mid-engined Berlinetta Boxer. The 5.5 L F133 V12 engine won the “over 4 litre” class of the International Engine of the Year award in 2000 and 2001. 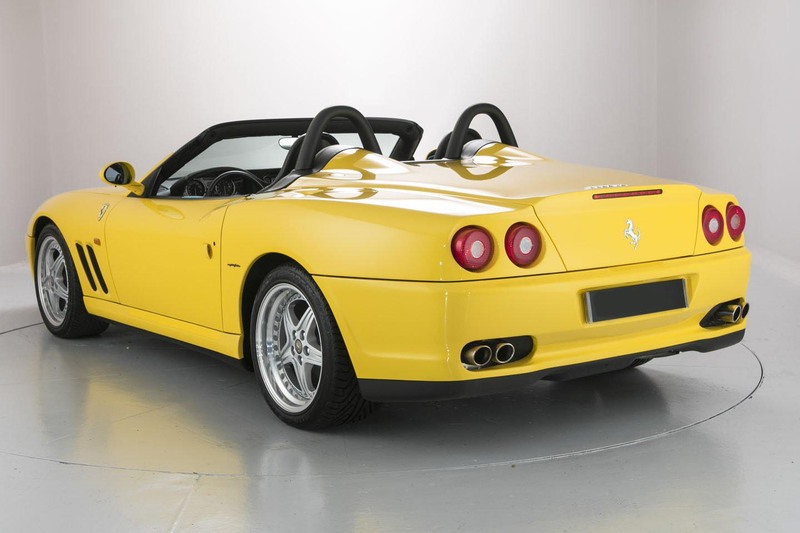 Ferrari introduced this convertible version of the 550 at the Paris Motor Show in 2000. 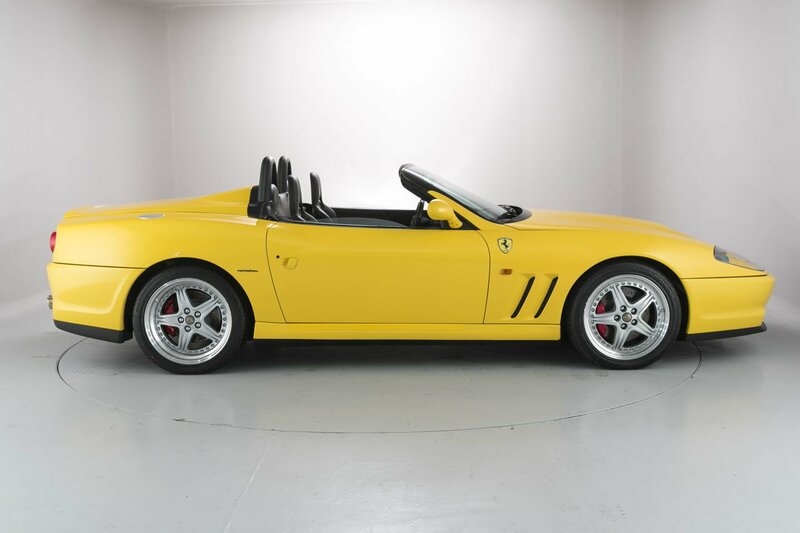 This Barchetta Pininfarina is a true roadster with only an occasional-use fabric convertible top provided. This soft top was intended only for temporary use, and has a speed limit warning above 70 mph. In 2004, Evo magazine ran a ‘Greatest Drivers’ Car’ showdown with the greatest cars from the previous ten years, including 911 GT3, Honda NSX-R and Zonda C12S. 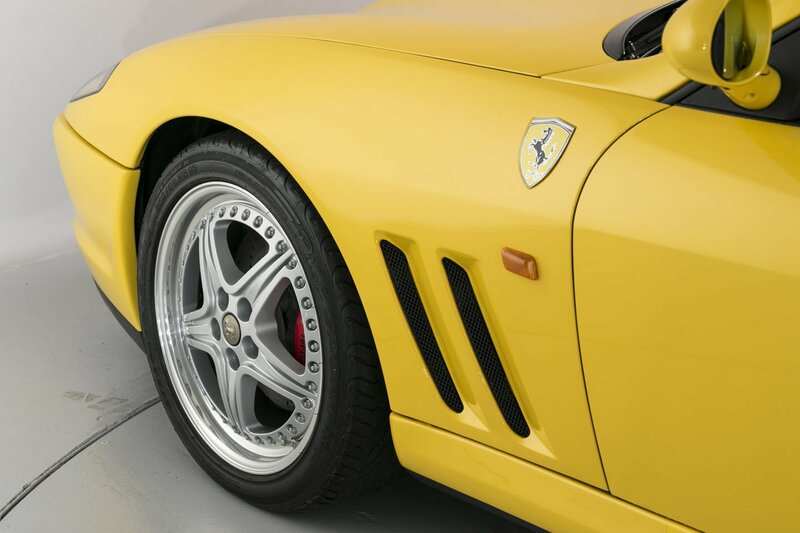 The 550 Maranello won. Evo stated that ‘As with all great cars, there’s no one facet that dominates the experience’. ‘Yes the engine is mighty, but the chassis is its equal. There’s never been a supercar that’s so exploitable and so rounded in its abilities’. 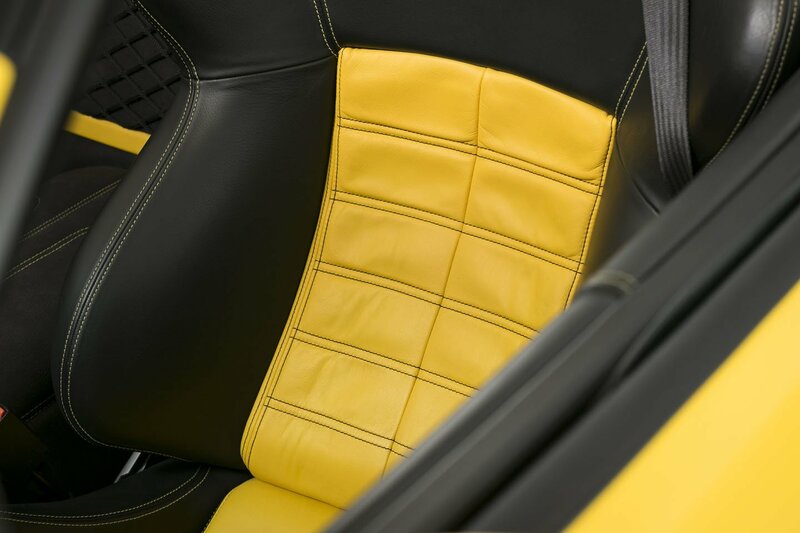 Originally supplied by Cornes & Co Ferrari, Japan, is complete with original handbooks, and spare keys. This ultra-low mileage vehicle, has enjoyed a recent belt service, and is ready to be enjoyed. It will also be supplied with a comprehensive 12 month RAC warranty.